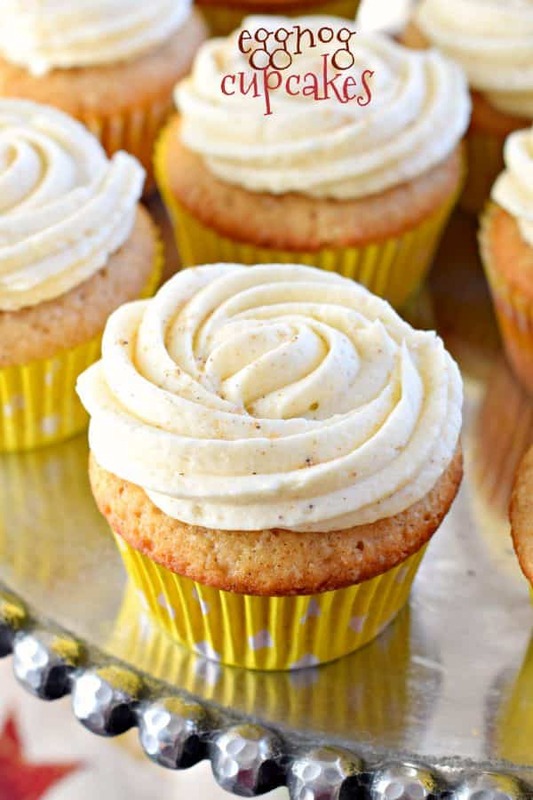 These Eggnog Cupcakes are made from scratch with my favorite spice cake and topped with creamy eggnog frosting. The perfect holiday treat! Line 24 cupcake tins with paper lines. Set aside. In small bowl, mix egg whites and 1/4 cup buttermilk. Set aside. Visit Eggnog Cupcakes @ shugarysweets.com for full directions.